While I try to be very healthy, it is sometimes hard finding the right health supplements. Most of the things that can be found in normal stores are pretty pricy and I’m always nervous to take risks with supplements I don’t know about, especially with all the warnings in the news lately. This is one of the reasons I love subscription boxes, they are a great way to try a variety of products without spending a lot of money. One of my favorite boxes is actually the Bulu Box, which I have used in the past to try different diet supplements. While I have loved Bulu, I had never actually tried their normal subscription box, which I just recently had the opportunity to review. Looking for a health and fitness focused subscription box? If so, we think you will love the Bulu Subscription Box. Each month, Bulu sends its subscribers four to five different vitamins, health supplements, or other fitness related products right to their door for $10 a month. After being introduced to sample sizes of the products, subscribers can earn points toward buying full sized versions of products by writing reviews, sharing their thoughts, and taking surveys. Since the products are designed for both men and women, they are a perfect choice for anyone who is health minded or trying to lose weight. Personally, I have been a big fan of the Bulu box since I learned about them. If you are someone who loves health products, they are a great way to try out new health supplements, health food, and even vitamins. 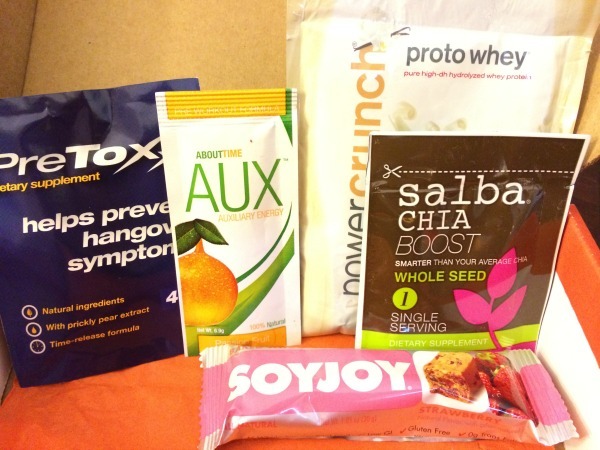 In my box, there were a variety of interesting products, including chia seeds, vanilla whey powder, pre-workout supplements, a SoyJoy bar, and a supplement to prevent hangovers. Overall, it’s a great way to try out new products without having to buy full sized packages, making it a great way for health-minded individuals to save money. Based on my own opinion of the Bulu Box, I am happy to give this subscription service an A rating. If you would like to try out one of these boxes for yourself, head over to Bulubox.com. Here you can subscribe to one of their programs – either the traditional Bulu Box or Weight Loss Box. If you use our referral code, you can also get a FREE Box or $10 off! This sounds lovely and I love health foods, thank you for sharing. I am into health foods. I love that these are inexpensive. Gotta check them out. Thanks! 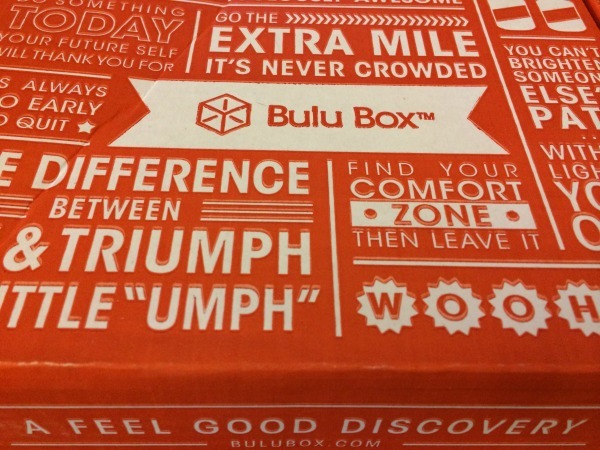 I have never heard of Bulu Box before, but it looks great and I definitely would love to give it a try. $10 a month is a good price!